Congratulations to Kara Tsang for winning the 2018 Michael G. DeGroote Institute for Infectious Disease Research (IIDR) Michael Kamin Hart Memorial Scholarship (MSc), the highest academic honour for graduate students in the IIDR. 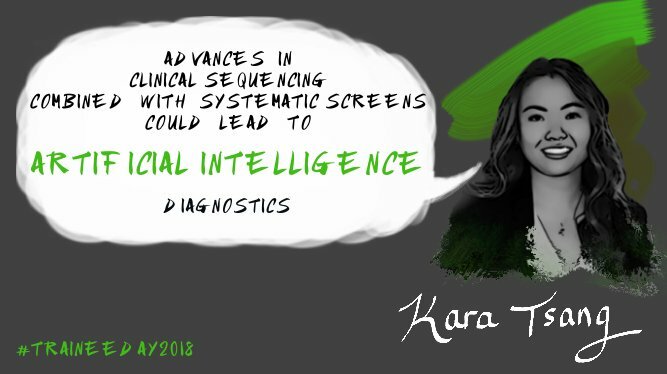 Awarded during the 2018 IIDR Trainee Day, the award was accompanied by a talk by Kara on her Ph.D. research: (Machine) Learning about antibiotic resistance genotype- phenotype relationships”. Well done Kara!